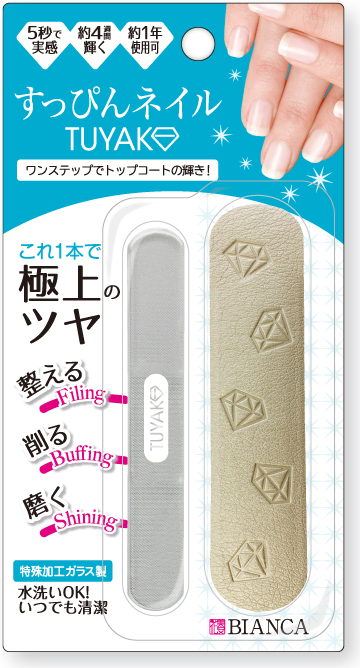 ﻿ TUYAKO | TECHXCEL JAPAN CO., LTD.
TUYAKO is able to trim, shave, and polish. No painting, no pasting, so that keeps beautiful nail. TUYAKO’s shining keeps 4 weeks. You only need is light rubbing with TUYAKO. You will realize surprised shining with one step. 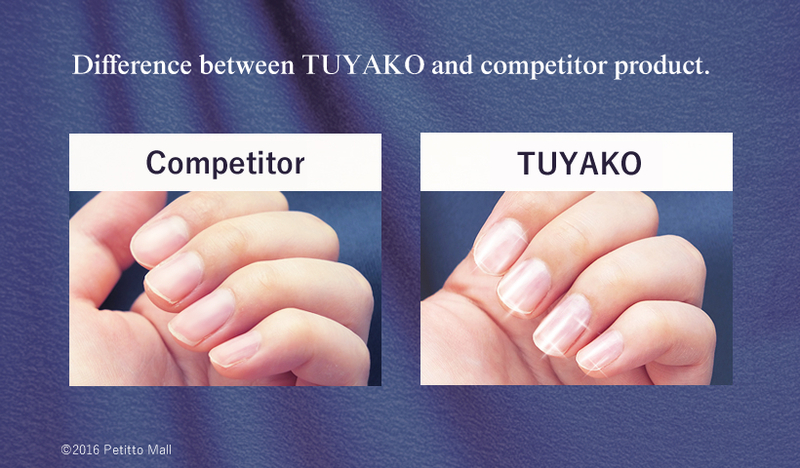 TUYAKO has great durability because of special process. You can wash by water, TUYAKO is always clean. 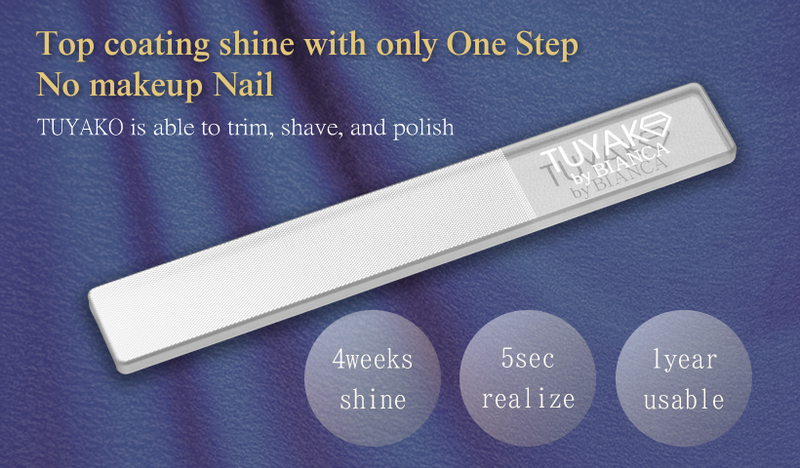 Filing length and shape put TUYAKO’s rough surface on tiptoe, filing the nail for certain direction.45 degrees would be suitable angle.